Puberty is a time of rapid metabolic change, with primary as well as secondary sexual characteristics being the most obvious developments. Hair is a secondary sexual characteristic. Changes are seen not only on the body, but on the scalp as well. 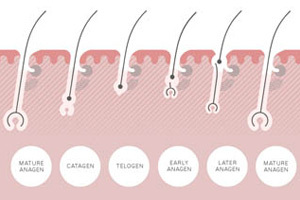 By the teens, scalp hair has reached its largest diameter and is at its thickest. Unfortunately, this is where the good news often ends. Teenage oil glands work overtime until around the age of 18. The hair is also usually allowed to grow longer and often acquires an odd, almost rancid smell. 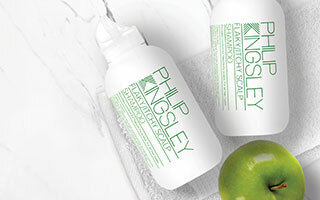 Mothers frequently bring teenagers to the Philip Kingsley Clinics to find out if anything is wrong, but it’s not really an ailment – it’s natural to produce oil and sweat and the hormone surge and its continuation can result in extra production of these secretions. Usually, the cause of the smell is lack of hygiene – it’s like body odour of the scalp, and is removed by daily shampooing. Adolescence is also the time when dandruff can begin to show. Dandruff is in fact extremely common in the early teens. Use of a flaky/itchy shampoo and scalp toner can be very effective in clearing dandruff and soothing an irritated scalp. Teenage diets are usually not the best – being high in junk food, processed fats and sugars and low in nutritional value. Apart from affecting concentration and mental and bodily well-being, these diets can have a negative effect on skin secretions, making oily scalps and dandruff worse. 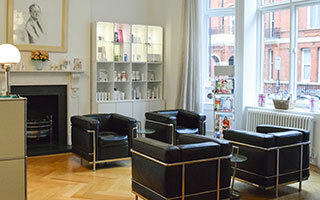 If you would like more information, our clinics based in London and New York specialise in hair and scalp treatments.